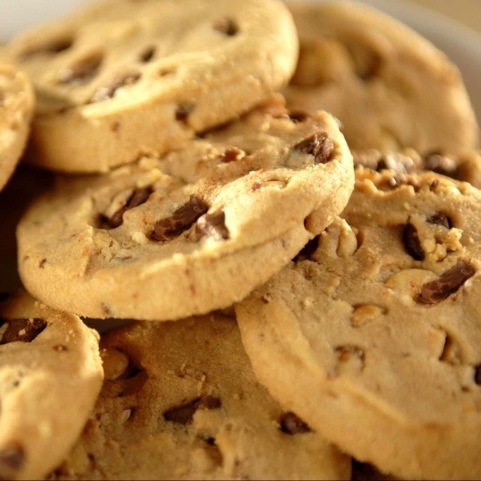 Hard cookies are a result of adding too much flour in proportion to the wet ingredients. Or it could be due to over-mixing. Next time, add less flour and avoid overmixing once the ingredients come together. The problem: My cookies are crumbling too much. This is usually a result of having too much sugar and not enough egg; next time, adding a little more egg or a touch of milk. It could also be because your dough isn’t quite mixed enough, so spending a little more time there could help too. The problem: My cookies aren’t baking evenly. 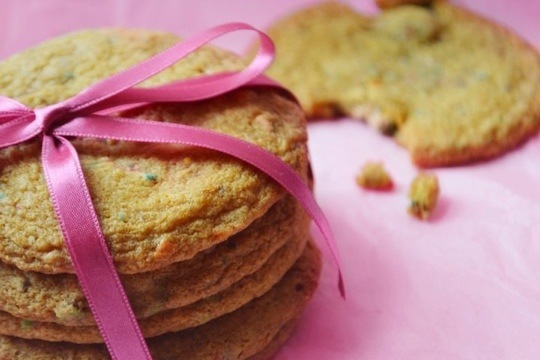 This could be due to uneven cookie sizes; use an ice-cream scoop so each cookie is the exact same size. Ovens are also very temperamental follow our baking tips. The problem: My cookies are too dry. 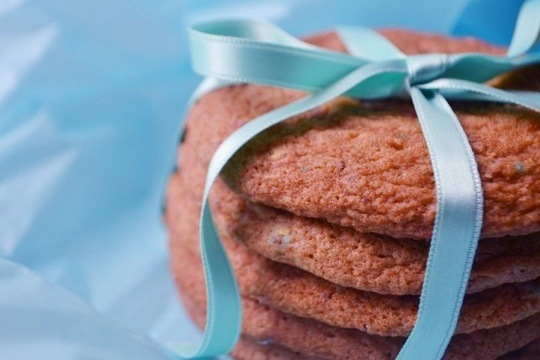 Bake them at a higher temperature for a shorter period of time. Additionally, substituting brown sugar for some of the granulated sugar may help your cookies retain moisture, since brown sugar has a higher moisture content. The problem: My cookies are spreading too much! 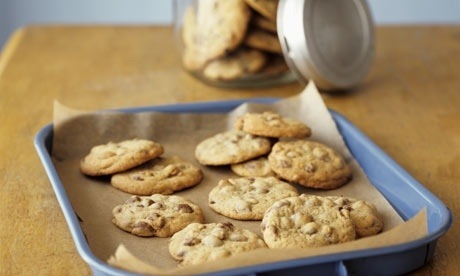 It could be that you’re baking them at too low a temperature – a higher temperature and shorter cooking time may be to blame, or your oven’s temperature itself is not quite where it should be. Adding too much sugar or oil, or not enough flour could also be a factor. Again, double check your measurements and adjust them accordingly. The problem: My cookies aren’t browning enough. You want that nice, lightly browned exterior in your cookies! If you don’t get that look, it’s possible that you’re not baking them at a high enough temperature. 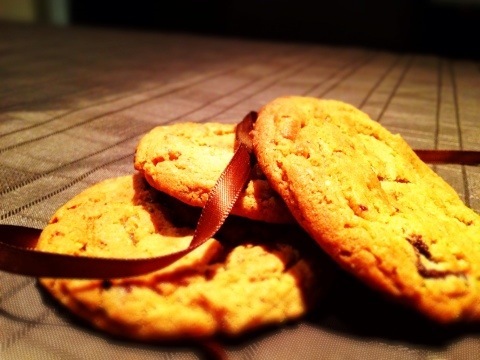 Not adding enough brown sugar could also cause your cookies to be paler than desired. The problem: The next day, my cookies are always hard as rocks. Packaging them in a nice, sealed container covered with a slice of bread will usually keep them much softer for a longer period of time! That’s a nifty one! How good are these?! Having any other problems in the kitchen, let us know we could pop on some more tips and tricks to ensure everything you bake is magical! 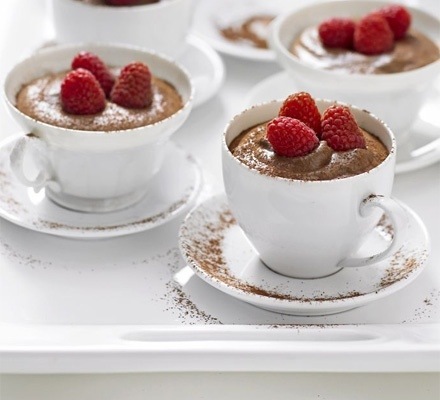 Chocolate mousse is always a winner…this mousse is guilt free gorgeousness! Serve with raspberries for a beautiful end to any meal! 1) Using a bain-marie melt the chocolate adding in the water. Once incorporated let it cool to room temperature. 2) Add the 3 egg yolks and mix it well with a wood spoon. 3) Whisk the 3 egg whites till you get a mousse, add in the sugar. 4) Fold the melted chocolate with the whisked whites using a wooden spoon. 5) Once everything is well incorporated, serve up into ndividual little bowls and put it into the fridge for at least 4 hours, till it gets really cold. 6) enjoy with fruit and top with a sprig of mint. Soo healthy, so yummy, so moussey! 2) whisk the butter and sugar until fluffy, add in the egg. Make sure the mixture is properly incorporated. 3) add in the peanut-butter and vanilla extract. 4) sieve in the flour, bicarbonate of soda and salt, mis until it becomes doughy. 5) stir in the chocolate evenly. 6) using and ice scream scoop place 6 balls of dough onto a baking tray. 7) bake for 10 minutes…it will be perfectly crunchy on the outside…gooey on the inside, just how they are supposed to be! Perfect every time! 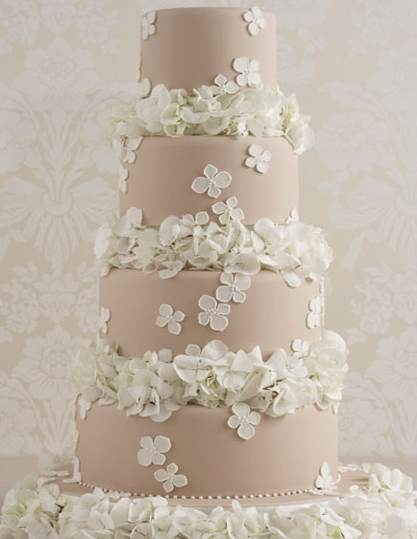 The wedding cake is a major part of everyone’s big day, but so many people get it wrong. 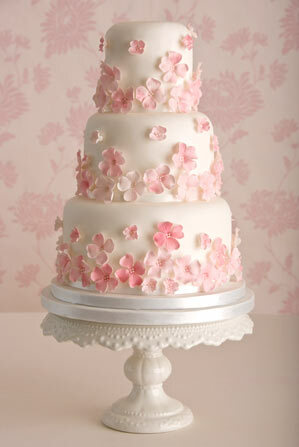 I’ve been to so many weddings and I think I’ve only said WOW to a handful of cakes. First and foremost with any delicious creation, the creation has to be just that…delicious and beautiful, there is no point having something yummy that looks like its been sat on by an elephant or something beautiful that tastes like cardboard. 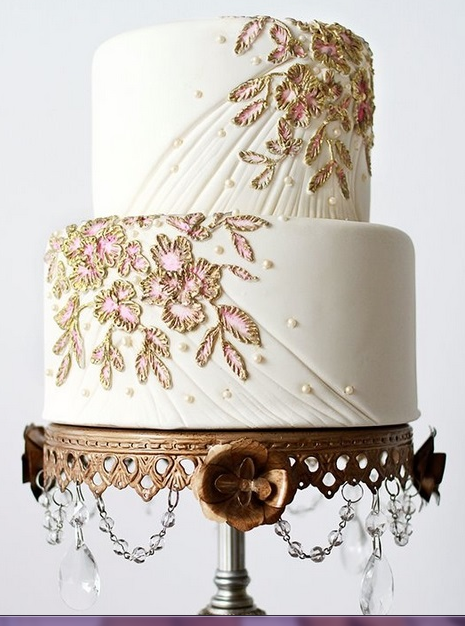 Here are a few dont’s that every bride and groom should stick by to ensure they get the perfect representation of them and their big day in cake form. 1) Don’t get a complicated design – forget add on stripes, starts, flowers and sprinkles…simple is always better, easy on the eye and way more elegant. 2) When deigning your cake and finalising colour schemes, don’t forget colour swatches. 3) Don’t choose an inedible bright colour, it looks artificial and everyone’s tongues and lips will be left looking crazy, including yours! 4) Don’t overlook the table, cake stand and location – it is extremely important to present the cake properly, it will look more grand and become a major focus of the day. 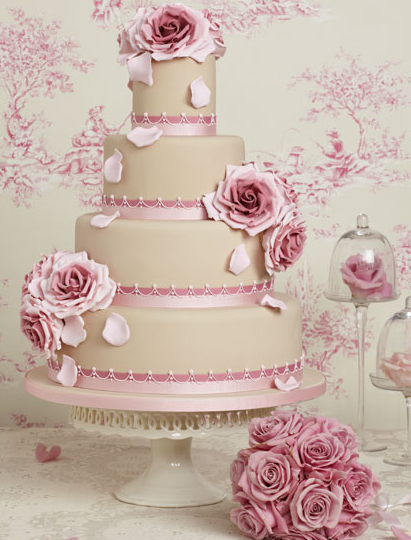 5) Don’t pick up the cake yourself – this is a major don’t…it is the bakers position to ensure the cake is displayed and delivered in perfect condition, this is a difficult procedure especially when it comes to tiered cakes as this means that the cake has to be properly assembled at the location. 6) Don’t try to please everyone! Remember it is your wedding day, choose your favourite flavour – Many bakers(including myself) give customers who order tiered cakes the opportunity to get different flavoured tiers which means you can please yourselves and everyone else. 7) Don’t forget to eat your cake – often with larger wedding it is hard to stay organised and keep to the time schedule…but whatever happens the cutting of the cake is a huge part of the whole ceremony so make sure you enjoy it. 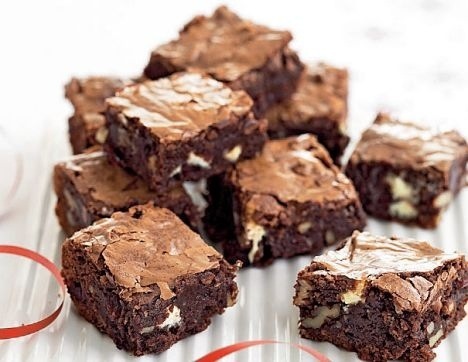 Warm brownies with a nice scoop of good quality vanilla bean ice-cream is the most heavenly dessert ever…the gooey inside with the cold ice-cream is a winning combination and with these brownies it will be guilt free enjoyment. 3)In a bowl mix the eggs, the honey and the vanilla extract till well incorporated. Add the oil and milk, then the flour, baking powder and powder chocolate, mix it all in an wrapping way. The add the oats and walnuts (chopped). 4)Once incorporated pop into the greased tin and bake for 30 minutes. 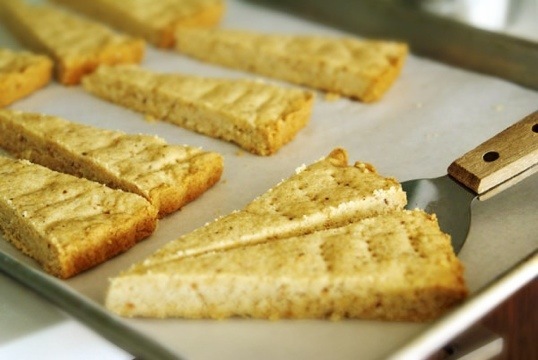 5)Remove from the oven, let it cool and cut into squares. So quick and easy! Stays gooey for days!! Mega yummy! Quick, easy and delicious! 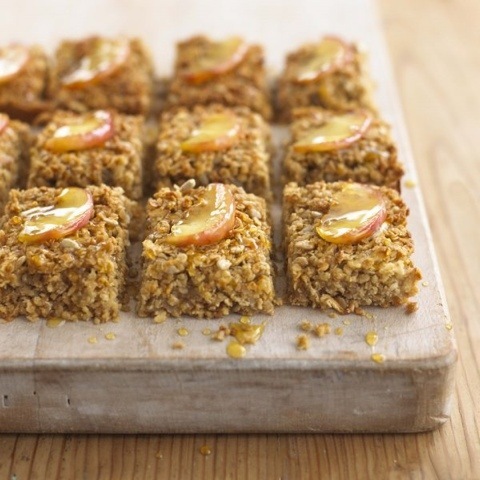 These simple apple and cinnamon flapjacks make a great breakfast or energy-boosting snack for your family…try them! 1) Simmer the apples gently in a covered pan with the sugar, until it becomes a soft. 2) Add the butter and golden syrup and bring to a gentle simmer. 3) Gently stir in the oats, salt and cinnamon to coat through. 4) Pour the mixture into square bake-proof dish and bake in the oven at 180C for 30 mins. 5) Allow to cool before turning out. 6) cut up into squared and top with syrup glazed apples or chocolate or just leave them plain…with way they will be gorgeously chewy and extremely moreish!